Have you ever thought after buying an album you know absolutely nothing about, just why you bought it? I have, many times. One of the explanations I’ve come up with, is the album cover. Imagine the scene, your in your local record store. You need your weekly fix of music, but there seems to be nothing new that you really want. However, you need something new to listen to. You feel that you must buy something. By now, desperation is taking over. The weekend won’t be complete without buying at least one new album. Do you head for the back catalogue section, and buy something buy some overblown, bloated and pompous 1970’s rock band? No. Here’s what many people, myself included do. We look for an interesting album cover. Now sometimes, this works. Other times, the results can be disastrous. Imagine the scene, you’ve found an album the cover has a psychedelic design, looks interesting you think, so you part with your money, and head home. On arriving home, you put the album on, and it’s the most unlistenable cross between rock and free jazz. Ouch. Often though, the results can be the opposite, and you’re attracted to an album cover, pay your money, and you’ve discovered the most brilliant album. This happened to me back in April 1999, when I discovered the Nightmares On Wax third album, Car Boot Soul. I’m glad I did, because that day, I discovered a downtempo classic, Car Boot Soul. It’s being released as a double album by Warp Records to celebrate the twenty-fifth anniversary of Nightmares On Wax. Back in 1999, Nightmares On Wax were celebrating their tenth anniversary. They’d already released two albums, 1991s A Word Of Science (The 1st & Final Chapter) and 1995s Smokers Delight. It was a downtempo classic. Nightmares On Wax, it seemed were maturing with age. However, they weren’t prolific. Instead, a Nightmares On Wax took around four years to make. That’s not surprising. When George was recording Car Boot Soul, he didn’t have the technology that’s available today. DAWs like Ableton Live, Reason 8 and Pro Tools were a thing of the future. So were VSTs. Drum machines, synths, sequencers and samplers were around. The problem with samplers was that their memory was tiny. Sampling required the patience of a musical saint. However, Sampling was one of George Evelyn’s secret weapons when he made Car Boot Soul. When George Evelyn began recording as Nightmares On Wax, he took a different approach to similar artists. He always records guitar, bass, keyboards and vocals live. Two other ingredients were required when he made the album. One was his trusty drum machine, the other was vinyl, lovely vinyl, and loads of it. George Evelyn is one of the hungriest of crate diggers, and it’s the vinyl that he discovers whilst crate digging in dark and dusty second hand shops. Flea markets are fare game, as well as back street record shops and record fairs. These places are is natural habitat and the gems found there, provide many of the samples on the album. These three things were key to the success of Car Boot Soul, a downtempo classic, which I’ll tell yopu about. Car Boot Soul opens with Les Nuits. Immediately, the sound you hear is symphonic, as it sweeps almost grandiosely towards you. On its arrival, you’re smitten, enthralled by its subtle beauty. Slowly, the track opens out. Crisp drums and synths enter. A keyboard meanders, the tempo is slow, and the sound becomes spacious. It’s the keyboard and drums that become the focus of your attention. Then suddenly, out of nowhere, smooth, sweet, vocals interject, making the briefest of appearance. Layer upon layer of sounds emerge over nearly six and a half majestic minutes. During that time, you’ve been fortunate to have heard one of the most beautiful downtempo tracks ever recorded. As Morse begins, bass and keyboard combine, an effect slightly muffles the sound, a sound that, once you’ve heard it you’re hooked. Then it fades away, the music pauses. You must hear it again. Thankfully, you do. It reappears, during a track that takes its influences from jazz and funk. As the track restarts, a bass plays, keyboards and drums combine. Snatches of vocal samples can be heard. A female vocal sings, her voice sweet, yet subtle. Repetition reinforces this understated and welcome addition. A guitar plays, its laid back jazzy influence joining joyously, adding another dimension. The guitar sounds not unlike George Benson, circa Breezin.’ Then, the most angelic vocal appears. Its appearance is sudden and unexpected, yet very welcome. For the remainder of the track, it soars above the rest of the arrangement. Drum, keyboards and synths bow to its superior sound. It proves to be the icing on the cake, combining with the vocal sample to complete what is a mini masterpiece from George Evelyn. Ethnic Majority begins with what sounds like a James Last sample. This brings to mind memories of Abigail’s Party and fondue sets. Add in a drum machine, some crisp beats, and you get the picture. Honestly, the sound is pretty pleasing. It’s catchy, infectious, and hook laden. What you’re experiencing is a trip in George Evelyn’s time machine to the seventies. Unlike much of what the seventies had to offer, this is a welcome return to a desolate decade. Its more lounge-esque than downtempo. Like the previous two tracks, Ethnic Majority has worked his magic to produce in interesting, infectiously catchy song, that reminds those of us who are old enough to remember, a distant decade, the seventies. Finer begins with bass playing hesitantly, then you hear a scratch, drums crisp and loud join in. Then a female vocalist joins, her vocal sounds as if it’s hidden, just peaking out from the mix. It sounds nicely understated, and quite a contrast to the drums which, crisply and spaciously pound. The arrangement is quite sparse, just bass, drums, vocal and the occasional scratch. This arrangement suits the vocal, it allows your attention to focus on it, there’s little to distract you. Even the drums, don’t distract your attention, they proudly provide the track’s heartbeat. Overall, it’s a melodic melange of sounds, one which has it roots in US hip hop, and one that demonstrates George Evelyn’s talents as an artist and producer. At the start of Easejimi, all you hear are drums pounding. Sometimes, a cymbal crashes. Apart from that not much happens, until after twenty-seconds, when suddenly, a rhythm emerges, repeating, then the track bursts into life. Trumpets unite, sounding fabulously funky, behind them, this rhythm plays. By now, a funk drenched, hook laden track has appeared. Rhythms appear, and disappear. Samples enter, only to disappear. Vocals can be heard, brass plays, a hip hop influence shows itself, scratches and vocal stabs, entering the equation. The sound is big, full and you find yourself struggling to take everything in. So much is happening, so many instruments, samples and even styles of music are present. For five and a half minutes, your senses are assailed. They’re a victim of a potpourri of glorious hooks, melodies and rhythms, that leave you marveling at the imagination and talent required to create such a masterful track. Argha Noah begins with a dull distant sound reverberating, it’s atmospheric and mysterious. A spoken word sample appears, adding to the already dark mood. After this, a bass rumbles, the sound grows. Darkness is still present, as drums hesitantly join what is now, a space age sound. Although still dark, the addition of drums, crashing cymbals and synths slightly lighten the dark and mysterious mood. The track slowly meanders along, space present in the arrangement. Drums and bass play slowly, space between the notes vital, vital to add to the mood. It’s almost like the soundtrack to a science fiction film. A keyboard plays, providing light to the overwhelming darkness. This keyboard fills out the arrangement, filling spaces, but sometimes leaving space, this has the effect of adding to the sense of mystery. At the end of the track, you feel you’ve been on a magical musical journey, a journey through space, to another place, where Argha Noah is their national anthem. Fire In the Middle when it begins, reminds me of Jose Padilla. It’s the guitar playing on the track, which has a lovely understated quality. Accompanying the guitars, are George Evelyn’s trademark crisp and loud drums, which almost crack, such is the clarity. A bass rumbles, sounding way back in the mix, synths sweep in. Suddenly, this combination has added almost a sweetness to the sound. Like many of the tracks on Car Boot Soul, it’s catchy, so infectious, it’s nearly contagious. Evelyn has ensured the track has hooks a plenty, which draw you in, and enthrall you. It seems one of his secrets is find a catchy sample or synth line, and repeat it many times. Then it almost worms its way into your subconscious, where it lurks, reappearing when you least expect it. Like many tracks on Car Boot Soul, there is a warmth to this track. It’s the musical equivalent of a log fire. Survival begins brightly, melodically, with a mixture of drums, bass and keyboards playing. They’re joined by another sweet sounding female vocalist. Here, like on Finer, the vocal sits far back in the mix, sounding slightly hidden. This almost adds a touch of mystery to her. You wonder who she is? who is the owner of this beautiful voice? Similarly to Fire In the Middle, Survival is immediately catchy, hooks are everywhere. George Evelyn is a master of this type of track. Although not immediately noticeable, Survival has quite a full sound. It’s a mixture of a throbbing bass, buried deep in the mix, pounding drums, keyboards, synths and vocals. Overall, this combines beautifully, producing a summery sounding song, that your ears will never tire of hearing. 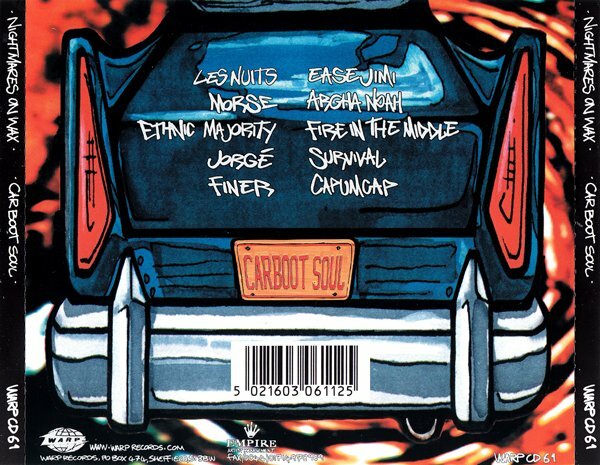 Car Boot Soul ends with Capuncap, a track that, from the start, is loud and full. Drums pound, the bass pulsates, synths sweep in, announcing their arrival, and strings emerge. It’s an impressive, almost grandiose start to the final track on the album. This sound continues majestically, then just as you’re enjoying letting the many layers of music wash over you, it pauses briefly. It’s as if it’s just allowing you to absorb the music’s power and quality. Thankfully, apart from the occasional brief pause, it’s a continuous flow of music, and Capuncap is a graceful and subtle way to end Car Boot Soul. 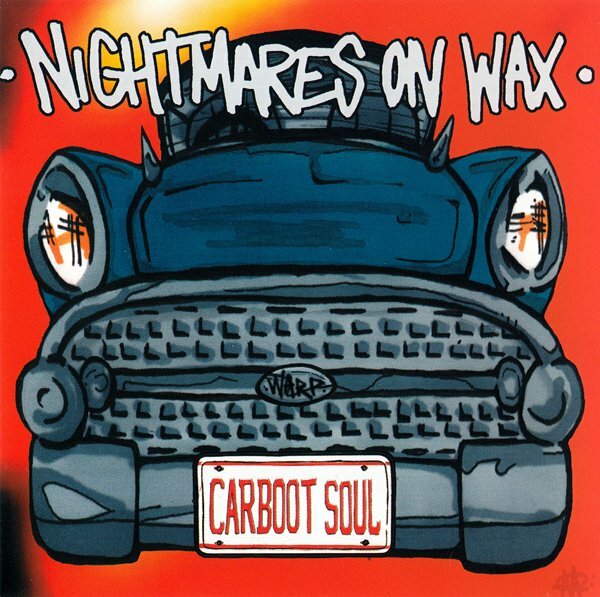 Every time I listen to Car Boot Soul, which is being re released as a double album by Warp Records to celebrate the twenty-fifth anniversary of Nightmares On Wax, it’s like meeting an old friend. This is an album I’ve listened to more times than I care to remember. 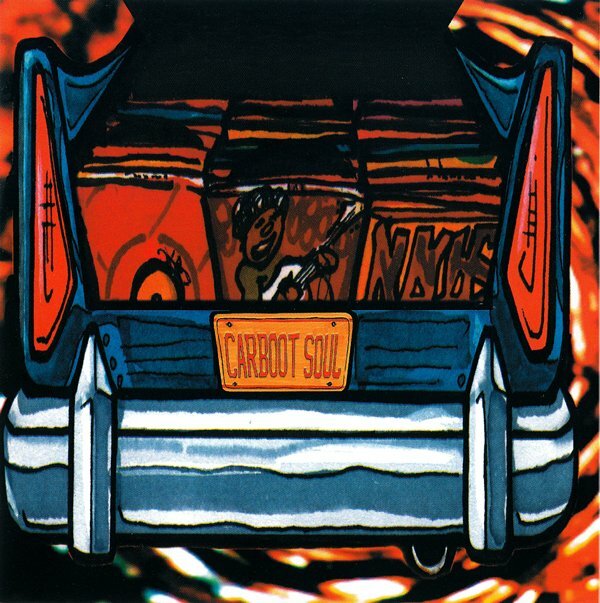 Car Boot Soul is an album that is one I constantly return to, and one I never tire of hearing. Each time I listen to the album, I hear new things. Sounds that I’ve never heard before emerge. Subtleties and nuances reveal themselves. That’s why Car Boot Soul, is a much more complex album than you first think. Especially considering that technology was much less evolved then, than now. Samplers and synths weren’t as good as they are now. Back then, even the computer’s role in making music was in its infancy. Discs full of samples are used now to make music, back then, all George Evelyn had was his trusted vinyl. So when you consider who difficult, and time consuming, it must have been to make this album, he should be commended. What George Evelyn has produced is one of the finest downtempo albums ever made. That may sound like a big statement. It is, and not one I make lightly. Many other artists made similar albums, but Car Boot Soul stands head and shoulders above them. 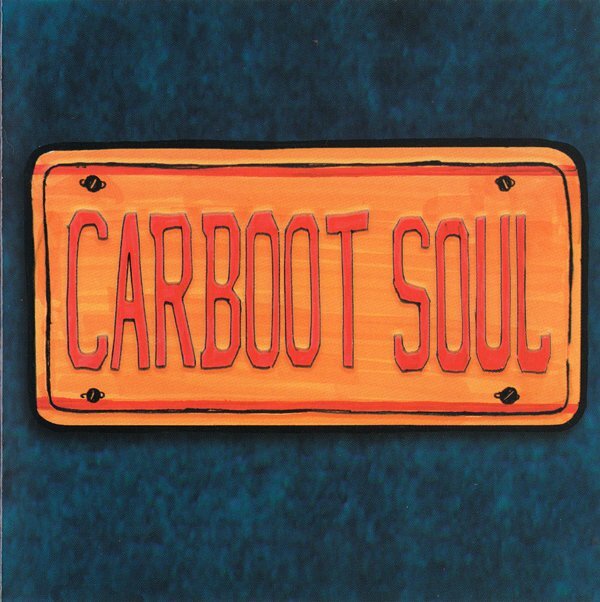 Car Boot Soul has stood the test of time, the music has a timeless quality, one that just as sounds as good in 2014, as at did in 1999, when I first discovered Car Boot Soul’s delights. ← BOPPIN’ BY THE BAYOU-MADE IN THE SHADE.